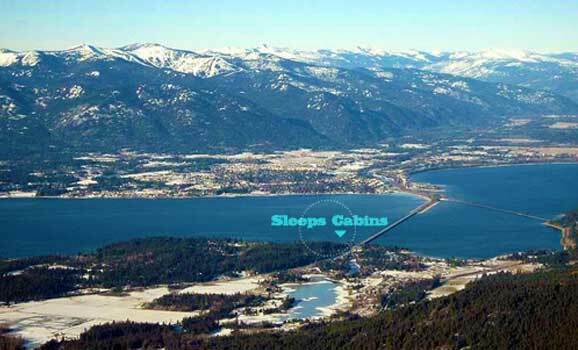 Head south on Hwy 95, cross the Long Bridge, take the first right after the Long Bridge at Lakeshore Drive, drive to 31 Sleep’s Cabins Lane, Sleeps Cabins is on the right. Contact Sleeps Cabins Waterfront Vacation Rentals & Lodging to give you an unforgettable North Idaho vacation experience with a location on the shore of the magnificent Lake Pend Oreille, the accommodations and the hospitality make Sleeps Cabins your best choice for Lodging on your vacation in Sandpoint, home to Schweitzer Mountain Ski Resort and Silverwood Theme Park. Contact us by filling out the quick Email form and Please describe your inquiry or reservation request. We will respond promptly to your email. Thank you for your interest in Sleeps Cabins!